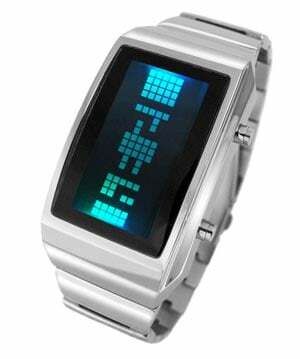 Here’s another cool geek watch from the guys over at Tokyoflash, the Negative. This funky looking timepiece come in a choice of polished black or silver, and the Negative’s LCD screen is always displaying the time. 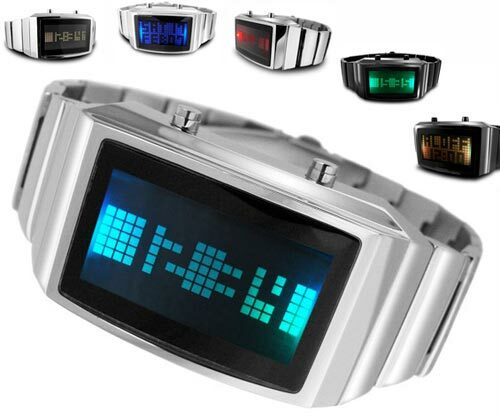 The cool thing about this watch is the multi colour LED display, at the press of a button you can change the display to one of the seven selectable colours, one for each day of the week. The display shows the time in negative space, the unlit areas of the screen display digital numbers, which are highlighted by the bright squares around them. 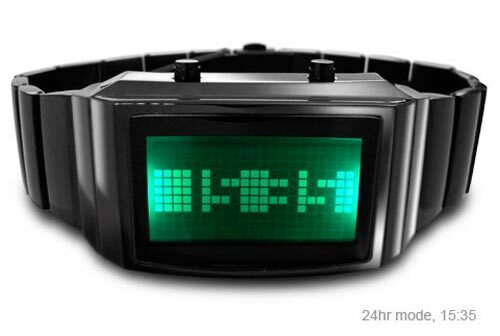 This funky LCD Watch can display the time in 12hr and 24hr modes, as well as the date and its also has a built in alarm. The Tokyoflash Negative is available to buy online for $160 from Tokyoflash.